Coffee is a beverage that is brewed from beans of the Coffea plant. Coffee has many advantages and disadvantages such as coffee reduces the risk of diabetes and caffeine in the coffee can be addictive for many. For a lot of people, their day starts with a cup of Joe. Coffee is of the most consumed drinks worldwide, with a lot of people drinking it in the morning, evening and even at night. There have been constant bickering about how coffee is good for you vs how coffee is bad for you. 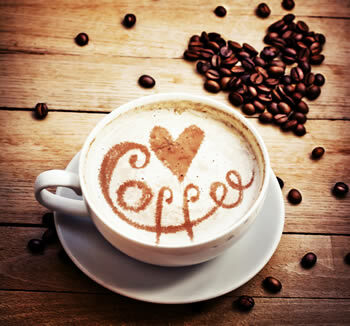 What are the benefits of having coffee and what are the drawbacks. Well, let’s try and understand what coffee actually is. Coffee can be dated back to 15th century with evidence showing cultivation of the Coffea plants in Southern Arabia. The word ‘coffee’ is derived from the Ottoman Turkish ‘kahve’, possibly by way of the Italian caffè. Coffee is a liquid drink that is brewed from the seed of the Coffea plant. This seed is originally green and is one of the most traded commodity on the market. The beans are then roasted to varying degrees and grounded. For normal coffee, he beans are grounded to a grainy powder, while for other coffee based drinks such as cappuccinos, latte and so on, the beans are grounded into a powdered dust. This powder is then placed in a filter and hot water is passed through it with added pressure, resulting in a dark brown liquid. This is liquid is known as espresso, Americano or black coffee. Coffee can be consumed in many ways, straight black or with milk and some drinks can even be served cold (Frappuccino). Studies are still ongoing on the effects of coffee, but in moderation this drink has resulted in providing protection against many diseases. The caffeine that is found in the plant is what gives the coffee its ability to keep people awake and provides them with a boost of energy. However, it also has negative aspects such as becoming addictive and resulting in withdrawal like symptoms such as headache, irritation, etc. The caffeine can also cause high blood pressure problems in the drinker. Includes essential nutrients such as riboflavin, pantothenic acid, magnesium, potassium, etc.